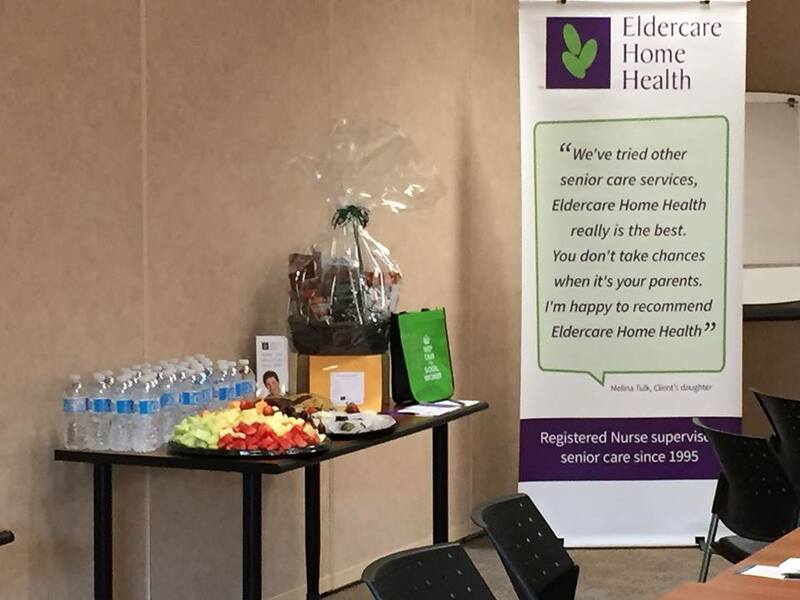 Eldercare Home Health is happy to have sponsored the Social Work Clinic Day event at North York General Hospital with speaker Shelly Craig. March 9, 2017, the sun was out, lunch included lots of dessert and the auditorium was full…. great omens for the annual Social Work week lunch and learn. Shelley Craig PhD RSW LCSW was the invited speaker at the annual Social Work Clinic Day lunch and learn in celebration of Social Work week. Dr. Craig teaches in the Health and Mental Health specialization, primarily focusing on research and practice for health. Her research focuses on the social determinants of health and mental health and the impact of the service delivery system on vulnerable populations. Dr. Craig has been the recipient of numerous awards, including: the Inspirational Social Work Leader 2015, Ontario Association of Social Workers and Fellow, the Society for Social Work Research (SSWR). Dr. Craig presented findings of her research which includes how social workers evaluate their role, and how they believe others perceive their contribution within the health care team. Dr. Craig’s remarks were an upbeat reminder of the important and unique role that Social Work has to play within the health care setting. During the course of her research Social Workers told her that their roles had elements in common with Firefighters, Brokers, Glue, Janitors, and Bouncers. Social Workers pointed out that when their role required the ‘firefighter’ element (the kind of role that one might have in an emergency room setting), their status within the health care team was elevated. But when their role involved a ‘janitor’ element (this is a real mess, give it to the social worker to clean up) that they perceived that they had low status within the health care team. The very experienced Social workers that she surveyed pointed out that their responsibility often involved resolving conflict and that over the years, patients and their families are presenting with increasingly complex issues. The social workers spoke about their roles in holding family meetings and being responsible for the lion’s share of discharge planning. Overall Dr. Craig was promoting a point of view that social workers have a unique and important role in the health care team and in the quality of health care that is ultimately delivered to clients/patients. She urged social workers to “own” that definition and not to allow others to define it for them. 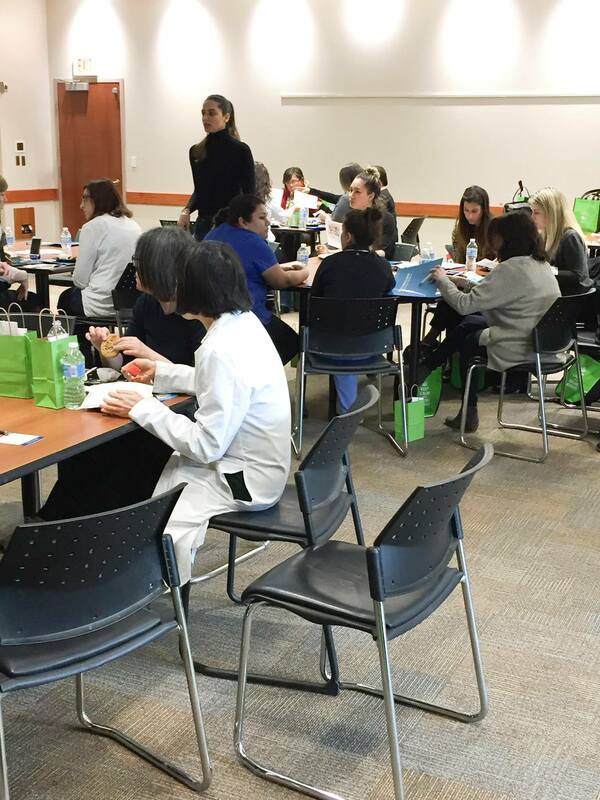 It was our pleasure to provide support for the Social Workers at North York General Hospital for this Speaker event. We wish every one of our Social Work colleagues a Happy Social Work week. We look forward to working with you in the coming year. Note: Are you looking for sponsorship for your event? 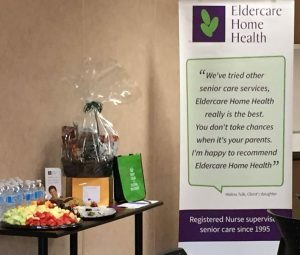 Learn how having Eldercare Home Health sponsor your event can help increase attendance and “up the excitement factor”. 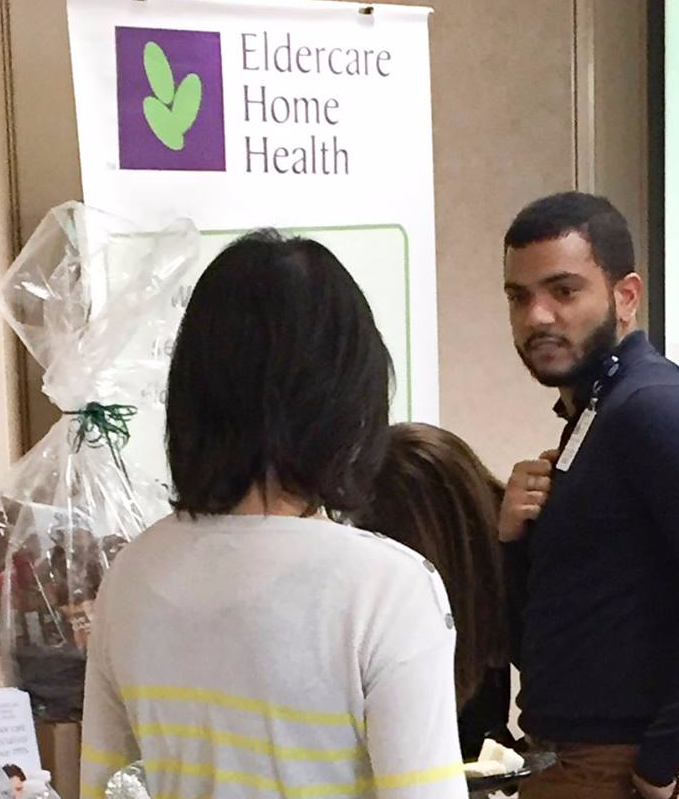 Learn how Eldercare Home Health can help your elderly clients. This entry was posted in Blog and tagged social work, social work week, social worker, social workers. Bookmark the permalink. Hospital discharge – 5 things you can do to help your elderly patients avoid returning to the hospital.